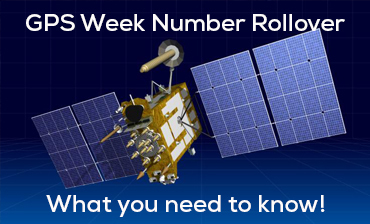 A GPS week rollover will occur at the end of the GPS day on April 6, 2019. Current equipment will not be effected. If you are running the Trimble R10, R8, R8S, R7 and R6, you will not have issues. If you are running 5800s or 5700s or later gear, with software that pre-dates 2.32, you will need to upgrade. All Trimble receivers with firmware version ≥2.32 will continue to operate normally following the rollover. See chart at the bottom of the page. All MGIS receivers will continue to operate normally following the rolloever, although some very early receivers may beed a firmware update. See below at the bottom of the page. If you are not currently up-to-date with your firmware coverage, you will need to purchase a Firmware Protection Plan. Protection plan pricing is available by calling customer service at 877-309-4099. 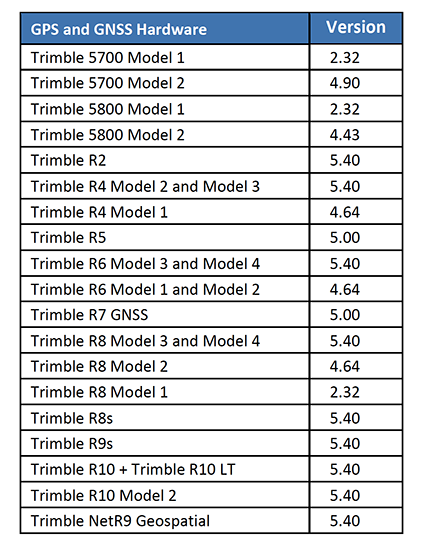 The table below shows the current firmware versions for all Trimble receivers (Year 2000 and beyond). Protection plans, including receiver firmware maintenance, are available for upgrading your receiver to the current firmware version, if required. See your local distributor for information on protection plans. The table below shows the Trimble Mapping & GIS portfolio receivers and handhelds (released 2005 and beyond) that will continue to operate normally following the WNRO event, provided that the receiver firmware version is up to date. See your local distributor for information on updating the firmware on your devices, if necessary.